Hosting live online events is easier than ever with the advancements of technology and social media like Facebook Live, Instagram Live, and YouTube. Users are no longer tied to other platforms like USTREAM, Livestream, Justin.tv and other technologies used in the past. With the advancement of social media capabilities, you can do it right from your business, nonprofit, or church’s social media accounts and reach the people who already trust your business. It is well known in the marketing world, especially social media marketing, that video is king. People tend to interact and take action more often from a video you post than a static image or standard text. They are more drawn to video. The motion captures their attention more quickly and can keep their attention longer. Face it, using video to market is a must nowadays. However, one area we have noticed that businesses and nonprofits seem to leave out is live videos. Leaving out live videos from your digital marketing campaign is a huge mistake. 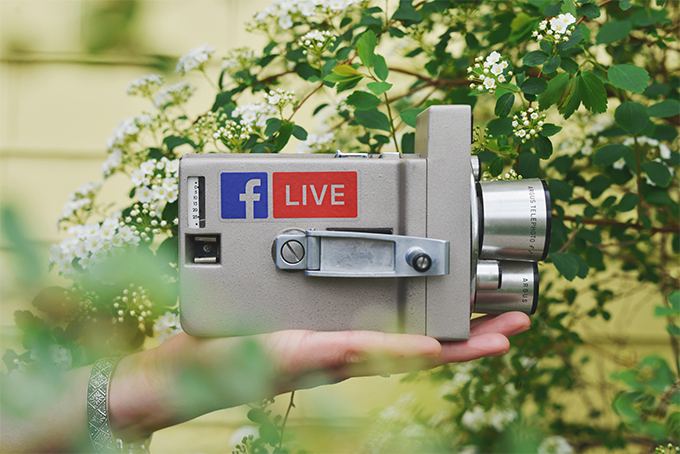 Facebook and Instagram send notifications to followers that someone is going live, making live videos incredibly effective in reaching your audiences! Once you are streaming live, you can see people who are watching and leaving comments on your recording in real time. This gives you the opportunity to directly interact with your consumers like never before on the internet. If they have a question or comment, you can answer them directly over your live video. To go live using Facebook Live, simply log in to your Facebook account on your smartphone and directly under where you would enter a status update, click the Live Icon. That’s it! You now are recording live video for all your users to interact with. Instagram requires you to take a few more steps than Facebook, but it is still a very easy process to go live using Instagram Live. You start by logging in to your Instagram app on your smartphone. From the timeline view, click the camera in the top left corner, then select live on the very bottom. To go live using YouTube Live Streaming from your desktop or laptop, log in to your YouTube account, click Upload Videos, and on the right select the Live Streaming option. So Which Live Streaming Option Should You Pick? The short answer is yes. You should be using all 3 tools to go live, but definitely Facebook Live and Instagram Live, if for no other reason than that each sends push notifications to users’ social media. So get two smartphones out and start recording! You will want to test your live video first for multiple reasons. You may want to check lighting and audio quality or you may want to just simply make sure it is working. Whatever the reason may be, you should always test your live video first. To test your Facebook Live video: click the Live icon, select the audience (usually defaulted as friends), select the more option, select specific friends, and then select the person you want to test it with and click done. Nothing is worse than watching someone awkwardly stumbling over their words. We highly suggest you write yourself a script and practice it. Practice it often enough that you know it and it won’t sound scripted. What Happens After The Live Event? We highly recommend you edit the video and add subtitles after it is published on your page. It will take some time to actually get it on your page but when it does, you should definitely add subtitles. This will help ensure your content get used over and over again. Promotion is a little more difficult than the actual recording. You don’t want to promote too far out and have your audience forget that you are going live. You don’t want to promote too close to the event and miss a large portion of your audience. So what is the sweet spot? We suggest a basic promotion for your live event 2 days before you intend to go live. You can do this by creating a short video and explain what the live event is all about. You can create image and text updates on your social media platforms building excitement. You can even send out emails promoting your live event to your email list. Then the day of the live event we would suggest promoting it again one hour before your event. Build the hype. Encourage your audience to join you and interact. Give them a nugget of what your live event is all about but don’t give it away. Remember, you are trying to stir up excitement, not foreshadow your event. Go live! That’s it! Don’t worry if your first live event is not as successful as you had hoped. Stay consistent. Bring fresh and relative content to your live events. People will notice and start joining you.